Oops - we don't appear to have a video for the DR-7090C. With a sturdy document feeder and a flat bed scanning unit, the versatile DR-7090C is built to handle your most demanding scanning needs. 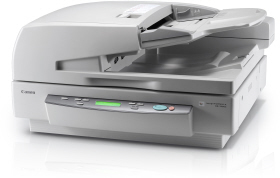 Put your most demanding scanning needs into the hands of the highly dependable DR-7090C. This versatile high speed A3 colour scanner sports a sturdy document feeder as well as a flatbed scanning unit - handling everything from fragile paper, to bulky documents, reports and bound books. Batch scanning- A robust 100-sheet document feeder allows you to stack up your heaviest workloads and a sophisticated feeding mechanism virtually eliminates double feeding problems. Flatbed scanning - Books, bound documents, fragile and damaged paper, can all be handled with ease using the flatbed A3 scanning unit. The intuitive DR-7090C makes everything easy: the control panel's as familiar as your office multifunctional printer. Common tasks can also be pre-programmed for one touch simplicity. A 3-line CCD sensor enables 24-bit colour and 256 levels of greyscale  perfect for everything from photos, to coloured charts and presentations. Image resolution is adjustable from 100 dpi to 600 dpi, for added flexibility. Advanced image processing features aid productivity, including Auto Page Size Detection, Skip Blank Page, Deskew, Text Orientation and Punch Hole Removal. 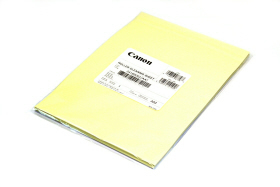 Canon's user-friendly CapturePerfect software is also included. Our innovative MultiStream technology allows simultaneous image outputs of two different scanning modes. For example, one output can be in colour and the other in black and white. The colour image can then be saved for archiving, while the black and white image can be saved for OCR (Optical Character Recognition) use. The DR-7090C is designed for hard work, which means you can rely on it to keep on performing each day and every day, with minimal maintenance.